Today we are at the Olympic Port of Badalona to support the creation of dragon boat club on this city. Very pleased! 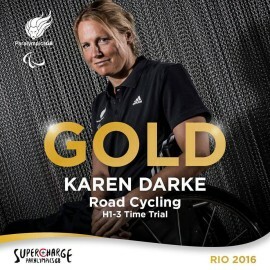 Congratulations Karen Darke for your gold medal!!! Hoping you come to #banyoles soon! Congratulations to our old friends at GB adaptive for their absolutely amazing Rio results!!! Three golds and one bronze over four finals in what must be a memorable and historic performance. Well done Tom and company!!! 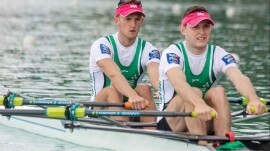 Congrats to our friends Gary and Paul O’Donovan, of the Irish Olympic Rowing team. Silver in the men’s lightweight double sculls, what an achievement! The Irish are on fire this year Special thanks to coach Morten Espersen. Hope to see you again soon! Absolutely incredible! You just left Banyoles, and arrived to Rio to go and fetch gold at the Women’s Single 200m! Congratulations, Lisa Carrington!! Good luck today in the 500m as well! Hope to see you training in the lake of Banyoles again next year. We have been present at the the most important game of the UNI Girona. 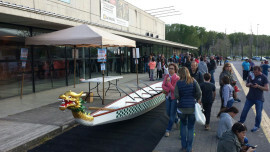 The registration forms are already open for the 5th DRAGON BOAT FEST MEETING! !